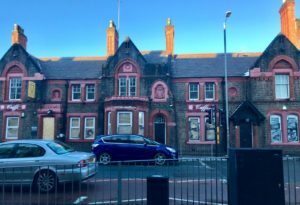 Plans to restore a pub on Wavertree High Street to house recovering addicts and alcoholics are still going ahead, despite mounting local opposition. Residents have expressed outrage that the scheme led by millionaire Kate Stewart has been not been stopped, following a council decision to approve it. The pub, previously known as ‘Cuffs’, will accommodate people who have undergone rehabilitation treatment and need continued support in battling their addictions. Labour Councillor Clare McIntyre previously led a meeting of over 150 people where a common complaint was that there didn’t seem to be any consistency in what they had been told so far about the programme. She said: “There is no doubt there is a need for more rehabilitation services for people in recovery from drugs and alcohol in Liverpool. Many locals have also voiced their worries that those accommodated by the facility would relapse and could possibly contribute to the rising crime rate in the area. Ms Stewart declined to comment when JMU Journalism approached her for a response. The businesswoman has made continuous attempts to reassure the residents that those staying at the facility will be abstinent of drugs and alcohol and will only be receiving help in rebuilding their lives. The building was recently vandalised in what some believe was part of a protest against her plans, but this remains uncertain. The windows have been smashed and graffiti was displayed around the main entrance. Construction work is currently being undertaken at the property to help convert it into the refuge.